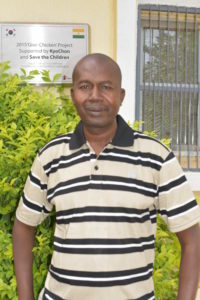 Gniré survived malaria – twice. Here’s how our sponsors are helping ensure she never gets it again. 12-year-old Gniré lives with her large family in a rural community located in the Sikasso district of Mali. Gniré loves school, especially math. When she’s not studying, she enjoys getting together with her friends and acting out stories, her favorite one being Cinderella. In the village where Gniré lives, 90% of the mosquitos are female, which means they can carry malaria. This puts children at a high risk of being bitten by a mosquito and contracting the disease. Last year, Gniré was treated for malaria, not once, but twice. 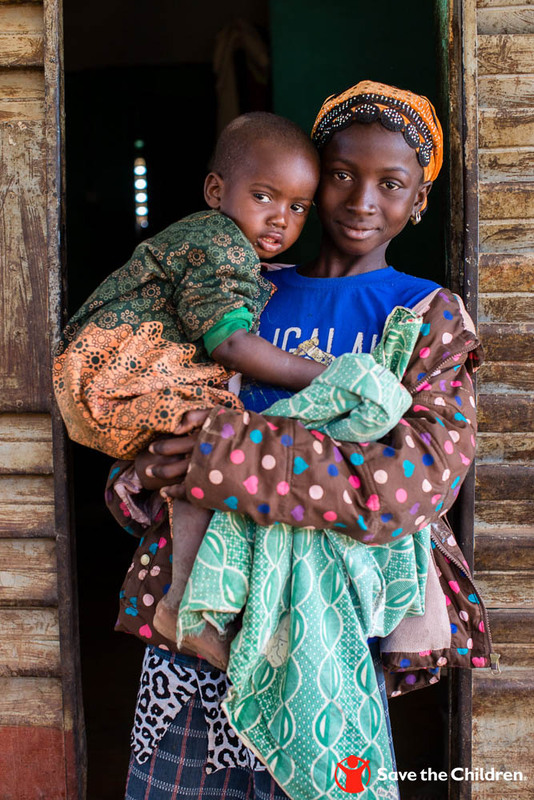 The first time that Gniré contracted malaria, it became hard for her to make it through a day of school because her body was weak, her head hurt and she was cold and shaky. At first, she hid her illness from her parents but after she started vomiting and had to miss school for an entire week, she told her parents she was worried she might be really sick. Her parents immediately took her to the hospital where she was diagnosed with malaria and treated. Gniré knows that washing her hands will keep her healthy. Not long afterwards, Gniré became ill again and was treated for malaria a second time. As a result of being sick for so long, Gniré’s growth has been stunted and she’s now smaller than her peers. This has made her self-conscious, especially at school, but Gniré’s future is now looking up thanks to Save the Children sponsors. 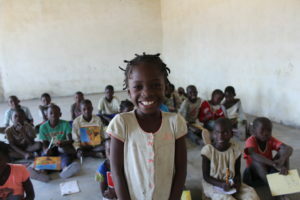 Through the Healthy Girls and Boys program, Gniré learned more about malaria and how to avoid it. She also received a mosquito net that she now hangs above her bed. Mosquitos bite at night, which means that Gniré is incredibly vulnerable to malaria without a net protecting her while she sleeps. 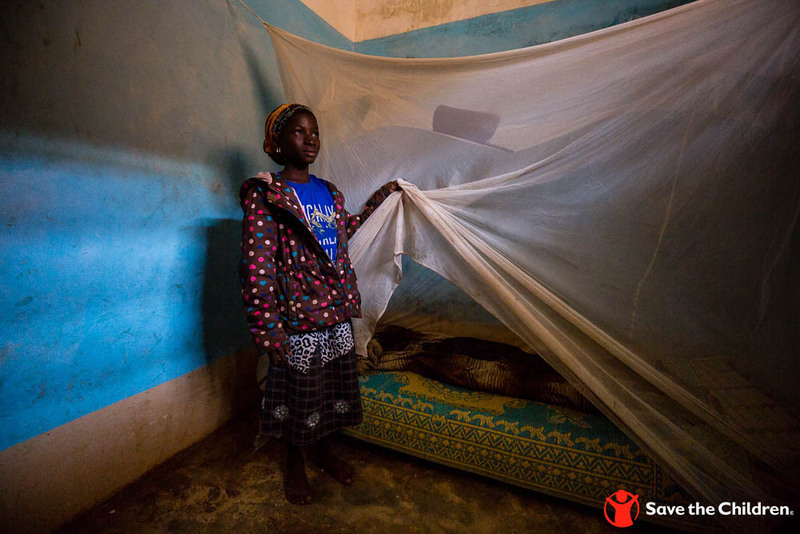 When asked what gift she would give to every child, Gniré knew right away that she would want to protect other kids from malaria. Mosquitos bite at night, which is why Gniré must be protected as she sleeps. 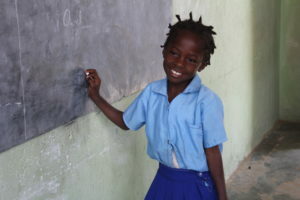 Now that she’s feeling better, Gniré is able to attend school every day. She can focus, learn and participate in class. Gniré knows how important it is for her to continue her education and dreams of becoming a doctor so she can help other people when they are sick. Today, Gniré is happy and active. Every day, malaria threatens the lives of children around the world and also prevents them from attending school and learning. 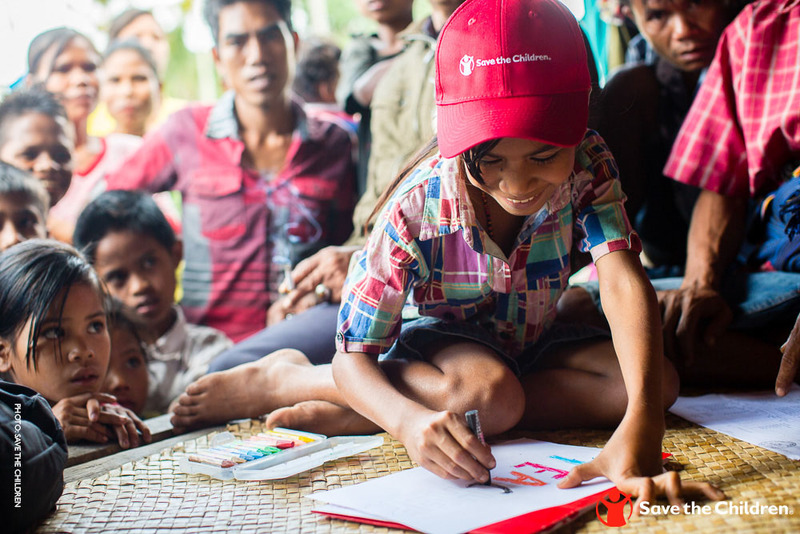 Save the Children sponsors are helping children like Gniré to not only survive, but thrive. With World Malaria Day happening this month, it’s the perfect time to consider becoming a child sponsor to help protect children like Gniré. What is Child Sponsorship & How Does It Work? As we step into the new year and reflect on the joys and blessings to come, it’s important to remember that there are children around the world who are suffering and in need of our help to have the future they deserve. A child’s future is determined – to a large extent — within the first few years of their lives. You can help make a difference in these lives in order to ensure these children reach their full potential. For the millions of children who need help around the world, a small contribution can go a long way. We can provide newborns with a healthy start, give children a strong foundation in education, and empower teens with the skills needed for promising careers. Choosing a child through a sponsorship program can make a world of difference in one person’s life and to the lives they touch as they grow. So, where do you begin? You likely have a lot of questions as to how you can help and how sponsoring a child through Save the Children can help positively impact a person’s life — through childhood and beyond. Read on to learn more about how you can make a difference. Through the child sponsorship program, you the donor can choose a child whose story has touched your life in a special way. Even if you’re halfway around the globe, you may see some similarities between yourself, your loved ones, and a child you wish to sponsor. Each month, your sponsorship helps provide children with the necessities for a healthy and successful start to their life – nutrition, early childhood and adolescent development, education and school health.. Over the course of months – or even years – your sponsorship will continue to make an impact on this child and his or her community. As of 2016, Save the Children and the sponsors we are fortunate to work with have benefitted over 2.5 million children worldwide, in 43 global communities, and have contributed over $70.7 million to enrich the lives of these children. What does it mean to be a child sponsor? The primary goal of sponsorship is to help provide children with their best chance for success. Through the sponsorship program you will develop a strong and important relationship with the child through letters, birthday cards and photos. The most important aspect of being a child sponsor is the impact you will have on the community as a whole. Your contributions will directly affect the education, health care, recreation and safety of others within the community, as well. You can help change the lives of children all over the world for just over $1 a day. Sponsorship starts at $36 per month, and you will be changing the lives of more than just one child. Your contributions are combined with other sponsors and donors in order to help better entire communities. This ensures that children in these communities still benefit from the programs and support even if they do not have a sponsor of their own. If you’re able to give more than $36 per month, your donation will help achieve greater goals for the children of these communities. What impact does sponsoring a child have on the community? The positive impact on the lives of these children can’t be measured in money alone. Thanks to our network of generous sponsors like you, we’ve been able to help treat 418,000 children for parasitic infections (often due to unclean, unsafe water in their regions), making sure their childhood is as healthy and happy as possible. We were also able to equip 37,000 parents with the tools they need to support their children’s early development. And we’ve helped train 6,000 teachers to give children in impoverished parts of the globe the education they need to build a better life for themselves and their community. Babies & Expecting Mothers: Even before birth, you’ll improve the lives of expectant mothers and provide them with the health and nutrition services that will ensure their babies begin life happy and healthy. Toddlers & Young Children: You’ll be able to provide children with early learning opportunities that will lay a strong foundation for educational success. You’ll be able to improve the overall learning experience for all children in the community ensuring the quality education they deserve. Teens & Pre-Teens: Adolescence is a time of intense change that shapes future opportunities. With your assistance, you will help pre-teens and teenagers build lasting life and work skills to build a better community. Save the Children believes every child deserves a future. In the United States and around the world, we give children a healthy start in life, the opportunity to learn and protection from harm. 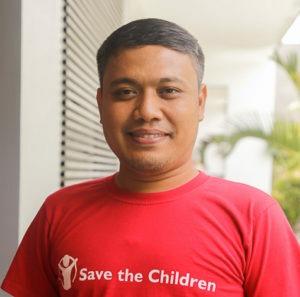 With millions of children living in poverty, it is the primary goal of Save the Children to connect children in need with people like you who want to become involved and make a serious impact. Sponsorship provides these children with the necessities for a successful and healthy start to a bright future. Through sponsorship, you’ll be able to support these children as they learn and grow. If you’d like to sponsor a child and make a tax-deductible donation today, please connect with us for more information. Shohayeb is a 12-year-old boy studying in 7th grade, at a sponsorship supported school in Meherpur, Bangladesh. He was enrolled in the child sponsorship program in 2011 when he was only 7, although sponsorship has been working in his community since 2006. During this time, Shohayeb has gained motivation in his studies, knowledge on good practices in his personal life, for example how to wash his hands properly and how to eat healthy, and learned about the many benefits of a strong education. His community has also become strengthened and more aware through sponsorship, realizing too the importance of education for their children, healthy living practices and how the prevention of early marriage benefits the long term development and prosperity of their community. Shohayeb’s community has also received material benefits like vitamin and iron supplements for malnourished children, and school infrastructure development such as safe water treatment, hygienic latrines and new learning materials like books. In August of 2017, Shohayeb had the great excitement of meeting his sponsor, Hyeona from South Korea, for the first time, who has been sponsoring him since 2013. They spent two days together, talking, reading, drawing, taking photos with each other and just getting to know one another. Shohayeb with his friend and sponsor, Hyeona. During this time, Shohayeb even got to celebrate Hyeona’s birthday with her, as it took place during their visit. It was an amazing journey with friends. Hyeona visited his school and met with his teacher and classmates. She saw how now, thanks to sponsors, classrooms have print-rich learning materials and posters, instead of blank walls. She even witnessed a vision screening test at his school, a service that wasn’t available to children with vision problems until sponsorship came to his school. Later, they spent time together making arts and crafts, playing ball games with Shohayeb and his classmates, and even dancing! Shohayeb tells us he will never forget those memories. He shared many things about himself and his family with his friend from so far away. Hyeona also shared stories about herself and her experiences, so Shohayeb not only gained a close friend but also learned many new things. Hyeona is proud to be Shohayeb’s sponsor. Where does your sponsored child live? Would you like to learn more about what life is like in that country, and how your sponsorship is changing the lives of children there? Consider making the big trip to visit. Contact our team in Fairfield, CT at ChildVisits@SaveChildren.org to learn more! As the spring flowers brought color to the gardens, and the trees were waking up after a long and cold winter, we flew into Faryab to visit the sponsorship program. The trip was long overdue and as representatives of the technical team, we were delighted to see the high quality programming happening in Faryab and Sarepul. The early childhood, school health and basic education programs in Afghanistan are strong, highly necessary and innovative. The sponsorship staff are team players, dedicated, focused and so engaged. With Faryab and Sarepul under new and crippling security strains, the staff face extreme challenges reaching some communities – something that must now be factored into their planning to ensure programs still reach children. Our teams partner closely with the local Ministry of Education department to provide educational activities in areas that the government cannot access. 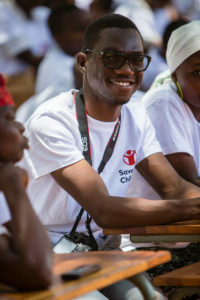 Save the Children sponsorship programming is there to support children in preparing for and transitioning to primary school, as well as ensure they are healthy and able to stay in school once they get there. 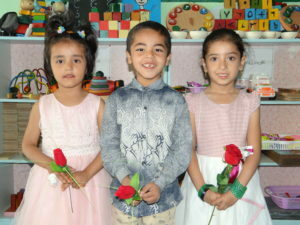 Early Learners (left to right) Mursal, Atila and Zuhra. 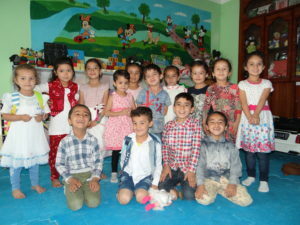 In Afghanistan, the ministry is working to get national preschools in every village, but currently only a few early learning centers are in place and functioning in Kabul. Since we know that stimulating children’s cognitive, social, language and even reading and math skills at an early age is important to set them up for success as students later on, sponsorship has been working hard to address these challenges. We are successfully modeling community-based early learning programs for these young students, usually ages 4 – 6, throughout the country, and in Faryab and Sarepul, the local ministry officials even came to Save the Children and asked us to incorporate these programs into the primary school curriculum. This innovative approach demonstrates our strong partnership with the local government. We were thrilled to have the opportunity to visit one of these early learning centers during our trip. The children were both excited and shy to sing and read with us, and to show off on the high quality playground equipment sponsors had provided here. Early Learners benefiting from sponsorship in Faryab. Another example of our close partnership with the local government could be seen in the health team’s recent visit. They provided blue prints for toilets that are low cost, high quality and long lasting. After much review with local ministry officials, sponsorship teams and village partners have built some of these new toilets at primary schools that had no toilets before or not enough to accommodate the number of students. We are so proud of the program in Afghanistan and want to remind our sponsors, our members and our technical advisors that Afghan children are still in need. We are working in some areas where other NGOs and the local government cannot reach – we hope that the inspiring and impactful efforts of our colleagues in Faryab can continue until all those needs have been addressed! Viona is now able to explore herself in sponsorship programs by learning how the importance of a healthy lifestyle! running water. Poor hygiene is common in remote areas where Viona lives and children like her are faced with it every day. Prior to sponsorship, Viona did not understand the importance of leading a healthy lifestyle and how it contributes to her success in school. Just last year, Viona suffered from malaria due to the lack of awareness of the illness and not being able to identify her symptoms. 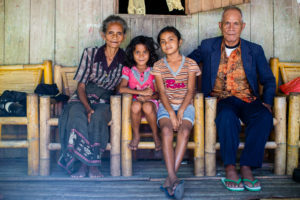 Viona sits outside of her home where she lives with both of her grandparents and younger sister. Today, when Viona comes home from school, she now knows the importance of eating a healthy meal. She then takes a bath in the river by her house after learning the importance of staying clean to promote good health. Thanks to you, Viona can look to her future with hope. With your support, we can help more children like Viona understand the importance of pursuing a healthy lifestyle and how it contributes to their future success. Centuries after gaining independence, education is still a challenge in many African countries. Among these is Niger, one of the poorest countries in Africa – a country in which the government is struggling to achieve food self-sufficiency, suitable health and education services for its population, and fight the challenges of endemic poverty. Under these contexts, education, although a priority, is managed in a way that it has not responded to people’s expectations, particularly those who live in rural areas. Due to limited financial resources, the education system sometimes hires under-qualified teachers with little or no training, especially in rural communities where schools also lack basic supplies, materials and equipment like books, guides for teachers or benches for children to sit on. Fortunately, the sponsorship program is working to address these challenges in the communities of Tchadoua and Aguié by improving learning environments in schools and starting literacy strengthening programs, like reading camps in the communities. 12-year-old Adam has grown a lot since joining reading camps. Adam is 12 years old and lives in Aguié. Like many of his peers, he has really developed as a student thanks to his participation in reading camps through sponsorship. 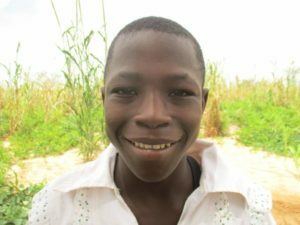 When Adam first joined sponsorship, he, like many of the other children in Aguié, could hardly read the alphabet. 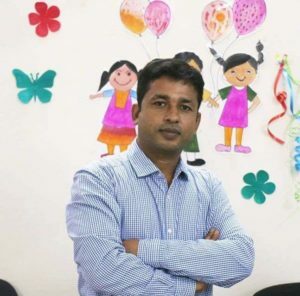 Born in a large family comprised of twenty members, he was not receiving any support in his education while they all struggled to make ends meet. Sometimes he came to school hungry, without having any breakfast. He did not like school, largely because they could not afford any books or writing materials for him to use. He often left class or didn’t attend school at all, and felt no confidence in his studies. But the sponsorship program has changed everything for the better. The schools are now provided with supplies and materials for their students. Reading camps are set-up in the villages, where children can learn in a child-friendly environment that makes learning fun through games and interactive lessons. There they sing songs, learn rhymes and complete puzzles that improve their reading and writing skills. Due to his regular attendance of the reading camps, Adam who initially was unable to read a two-syllable word, can now read long words on his own. 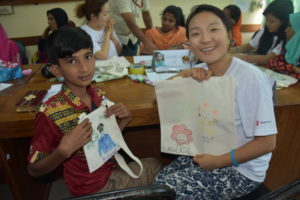 “The reading camp has helped me improve my reading ability, I can read words, but not fluently.” He admits shyly, “We easily learn at the camp because it’s a free learning environment. We play, we sing and we feel free to take any book you want. Our instructor is very kind with us. I like school as I want to become a lawyer.’’ Adam tells us proudly. 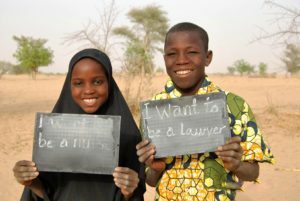 Adam and his classmate Raouda show their dreams for the future. Today, Adam does very well. At the last examination he was the fifth in his class, out of fifty pupils. Before joining the reading camps, he was only ranking as twentieth in terms of grades and school performance. He is highly motivated and hopes to be the first member of his family to complete secondary school. Adam is supported in his dream by his father who is also proud of the changes he’s seen in his son. “Adam has changed now and is performing well, it’s thanks to the intervention of Save the Children which brought the reading camps. Children play more in reading camps and they learn better because they feel free. We who are parents have been sensitized on the importance of education and we are conscious that intelligence is the shield of life,” said Rabiou, with an expressive smile. In the Nacala-a-Velha region of Mozambique, in a community called Locone, lives the little Sara, a 10-year-old student in grade 2, who like many other children in her community dreams to be a teacher. 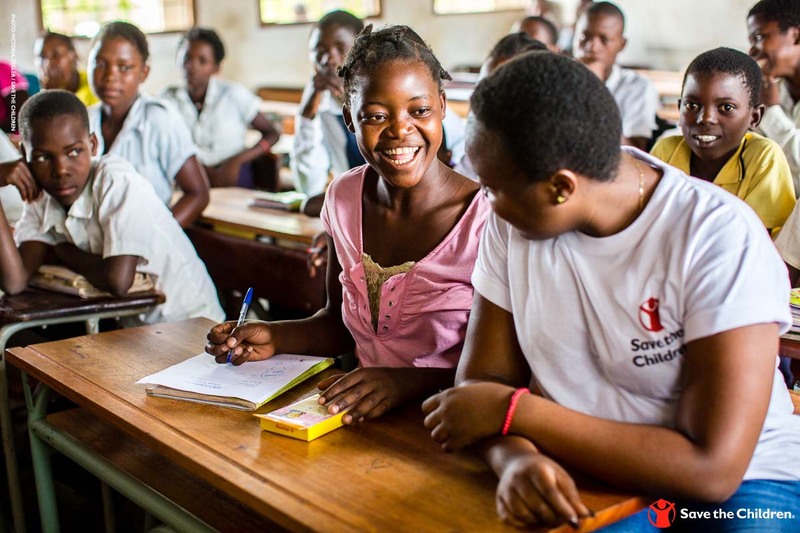 Save the Children in Mozambique has been working hard to improve the quality of education in rural Mozambique for children like Sara, such as by training teachers and school managers, forming school councils, and promoting and developing new school activities for students like reading fairs and camps. Sara attending a reading camp lesson. In the beginning of the school year, Sara had poor performance and lacked confidence in the classroom. She was ashamed because she couldn’t solve the math exercises, and couldn’t yet read the alphabet easily or participate in the lessons. 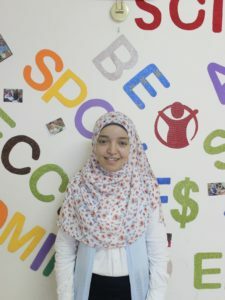 Her teacher tells us that in collaboration with Save the Children staff, parents like Saras’s father and other community members, the community came together to create reading camps. These camps would host sessions twice a week for struggling learners like Sarah, to offer the extra support they need outside of school – although all children are encouraged to attend. 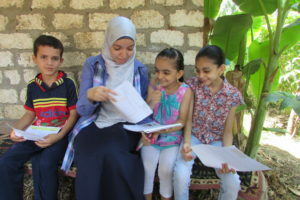 Community members with some education or good literacy skills, and talents for entertaining and connecting with young children, are selected as reading camp promoters. They are constantly receiving trainings through sponsorship to improve their teaching abilities. The promoters identify children’s individual difficulties and host sessions in the mornings or afternoons, and focus on building numeracy and literacy skills. By ensuring camps provide child-centered educational games, fun, lively lessons, plentiful and interesting books and a supportive environment, children gradually gain confidence and develop a love for learning. After just one month of attending the lessons at reading camps with the other children, Sara’s school performance began to improve. She was able to remember so much more, like names of animals, objects and other words in her world. She also developed a good understanding of numbers, started to understand and solve basic mathematics exercises, and was finally able to read the alphabet without hesitation. At school, she became one of the most outstanding students, always turning in her homework correctly, helping her classmates to do their homework and solve math problems. Her confidence in the classroom had blossomed, and she became a frequent participant in all her classes. Specifically, Portuguese, the national language of Mozambique, became her favorite subject. “We make lessons more fun with some song and dance, in order to ensure that the child is happy and ready to learn, and Sara is improving her skills,” shares Momade, Sara’s reading camps promoter. Sara participating in a lesson about vowels. Sara continues to improve significantly in her school performance and grades. “I remember when she used to just participate in the lessons when she was called on. Today, she is one of the most responsible of the group in her grade,” shared her teacher, Tuaha. Now she is very happy to attend lessons. “I like to be here at the reading camp and I also enjoy learning, because together with Momade, we play, sing and dance,” Sara smiled. Today, sponsorship in Mozambique has over 80 reading camps supported by our sponsors, reaching over 10,600 children. Many children are now experiencing a love for learning for the first times in their lives, thanks to you! Early morning one day in August, we picked up Nadia, a sponsor who has been supporting Ariane and her community for more than a year now, by raising funds with her local karate club back in Italy. Although Nadia came all the way from Italy, I did not see a hint of tiredness on her face. Our two-hour drive to reach Ariane’s community was filled with stories between Nadia and Save the Children staff, talking about our many differences, and even more similarities. When we finally got to our destination, we were greeted by cheerful teachers and a curious group of students. Though the teachers were expecting us, none of the children knew about our visit, except for one – Ariane. Her parents later revealed that she had been very eagerly waiting for this day to happen, when she would finally meet her sponsor. Nadia, Ariane along with her family and teacher go for a tour of the school. Ariane is 7 years old and is growing up in a secluded, rural village in Sarangani, a province with a 230 kilometer coastline at the southernmost tip of Mindanao island. She is a bit shy, but nonetheless eager to learn in school. Her parents both work as tenant farmers, earning only a minimal wage which is barely enough for their family of five. 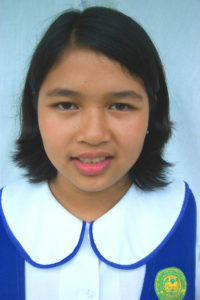 She is among the many students in her school that Save the Children helps through its sponsorship program. Though she had received letters from Nadia, and seen photos of her in those letters, it was the first time Ariane had met a foreigner up close, so she was initially a bit hesitant. Nadia warmed her up by showing her photos of the other members of the karate club. Ariane slowly became more comfortable and soon enough, they were smiling and taking photos together. The school was so excited for Nadia’s visit that they prepared a bounty of fresh fruits and other local food, including freshly harvested coconuts. All of us, including Ariane and her family, shared an extravagant meal of locally produced rice, corn, fish, chicken and vegetables. Nadia and Ariane pose for a selfie. Shortly after that, we went to Ariane’s classroom where a story was being read to the students by their teacher. The storybooks provided by Save the Children are written in the local language, making it easier for the pupils to understand the content and allow them to actively participate during the discussions. A big part of sponsorship programs in the Philippines is spreading the use of mother tongue-based multilingual education, meaning teaching in children’s’ first languages rather than in the national language, Filipino, which is not necessarily spoken by families in these remote areas. Trying my best to sum up a reflection on this experience, one word kept emerging – inspiration. Inspiration is contagious, and I saw it spread among the people I met through this day. Nadia and the members of her karate club back in Italy were inspired by stories of children who are in need. Nadia’s visit inspired Ariane to see more of the world and to fulfil her ambition of becoming a doctor. Ariane’s parents got inspired to keep her in school, and I, as a Save the Children staff, saw the connection between the sponsor and the child and it inspired me to reminisce the value of the work we do. Greetings! My name is Gehad, I am 23 years old and I work as a Sponsorship Operations Assistant in Abnoub, Egypt. In every trip to the field, I live the best and greatest moments when children hear from and write to their sponsors. I know by watching them write about their feelings, adventures and new experiences that children write to their sponsors with lots of passion – each line seems to never be enough, as they want to narrate more and more. Children from Abnoub seem to be so excited and astonished when they read a letter from a sponsor which describes what it is like in a foreign country. Hearing stories about the different places have made them realize that the world is bigger than they ever imagined it to be. Sponsor letters help children smile, which makes me smile. They share the name of their sponsors proudly with their family and friends, and always look very happy when they speak about them. 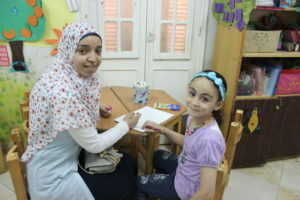 The children are always eager to give more and more information about their hobbies, family and their daily activities. Lately, I can see that the children who receive correspondences from their sponsors became more creative and interested in different activities and hobbies. Especially for girls, their minds have been opened to new ideas and what would be considered untraditional thoughts in the Egypt context. 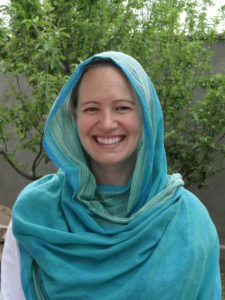 According to these traditions, many girls have not been allowed to participate in outdoor activities, or even complete their education as their parents did not see educating girls as important. Gehad drawing with Hager, a girl in a sponsorship-supported school. Girls now are encouraged to go to school, play sports, draw and read, all activities that were restricted to boys in the past. They have a chance to share their interests and dreams with their sponsors too, and ask for their guidance and ideas in thinking about what they actually want in the future. Sponsors help children in Abnoub realize the sky is the limit, and their dreams, no matter how big, are possible. Likewise, sponsorship programs like campaigns in communities are helping parents understand that educating their daughters can be a source of pride. When I was helping one of the sponsored children here, 10-year-old Hassan, respond to his sponsor’s letter, I was amazed when he updated his sponsor with “I attended Summer Camps, I learned the name of the most common diseases, how to prevent them and I received toothpaste and a toothbrush, and I felt proud when I shared this useful information with my friends and family. After attending the health campaign I became determined to be a doctor to help people to live better and protect themselves from dangerous diseases.” Hasan was talking about an event organized by our school health and nutrition team, which involves children in games and fun while also spreading messages about topics like personal hygiene and nutrition. Gehad delivering letters to Osama, Nourhan and Shahd. Generally, children surprise me all the time. Writing letters is an amazing skill that they gained from Save the Children and its sponsors. It gives children the chance to express themselves, think of their future, determine what they love, and exchange their opinions and thoughts freely. In my first year working with Save the Children, I would like to thank all the children for what I learned from them during these amazing moments. If I were able to meet all their sponsors, I would tell them that they have all the reasons to be proud of their sponsored children. The sky’s the limit for sponsored children! Many sponsors ask, what happens to sponsored children after they graduate from our programs? For Dial Grace from the Philippines, the sky’s the limit! We first met Dial Grace when she was 10 years old, shy and unsure of her future. A decade later, she’s on her way to finishing college with Save the Children by her side. Growing up with Save the Children has built numerous memories, countless laughter and millions of smiles. We learned life lessons, we gained friends and we built a family. Dial Grace says that sponsorship programs helped her become the woman she is today. “One of the most important sessions for me was the Basic Life Skills workshop. It has been my foundation to know myself better and it helped me understand how to make better – if not the best – decisions,” she said. 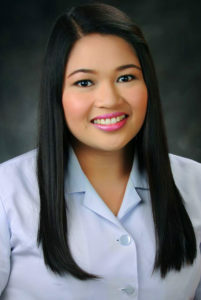 Now, Dial Grace works as a registered nurse in Saudi Arabia, where she feels that she is able to pay it forward to others in need. 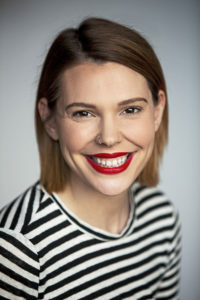 “Back in my younger days, I envisioned my future self, working with people and influencing them in such a way that Save the Children had created positive changes in my life.” she said. The learnings I gained from Save the Children have been one of my secrets for being who I am today, thus, wherever I will be, I can proudly and humbly say that Save the Children is part of it. Your sponsorship helps children learn, grow and dream – and Dial Grace is proof that those dreams can become reality with a little help. “Participating in the programs of Save the Children has made a great impact in my life,” she said.